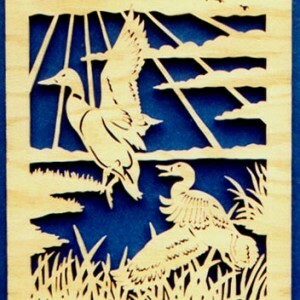 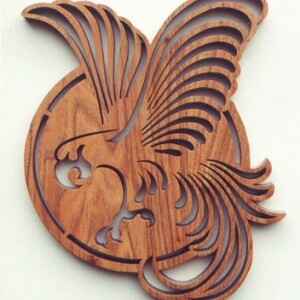 Measures approximately 8 ½” W x 2 ¾” H. Designed to be made from ¼” thick material. 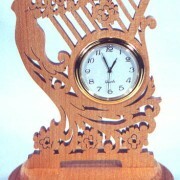 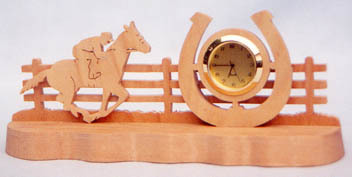 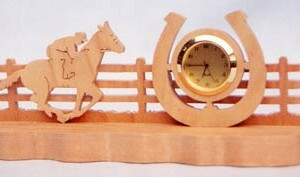 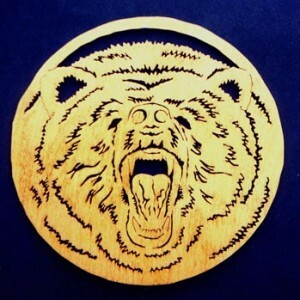 “Good Luck Horseshoe” holds 1-7/16″ diameter clock insert. 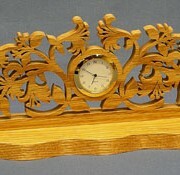 Beveled base measure 2 ¾” x 10 ½”.